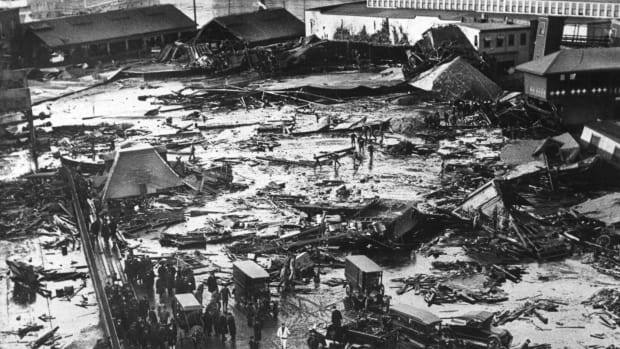 Sugary-sweet molasses turned deadly on January 15, 1919, when a holding tank burst and sent 2.3 million gallons of the sticky liquid sweeping through the streets of Boston. 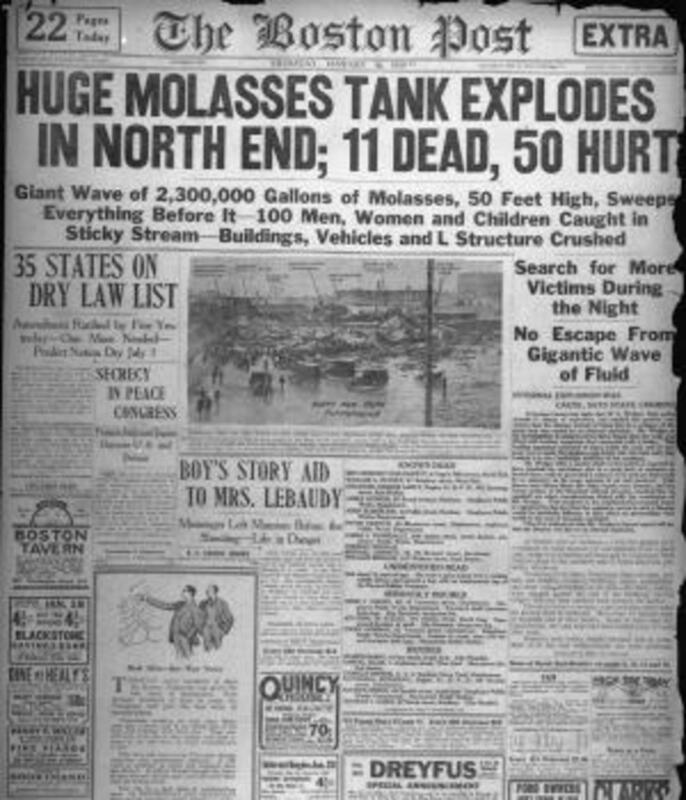 The source of what became known as the “Great Molasses Flood” was a 50-foot-tall steel holding tank located on Commercial Street in Boston’s North End. 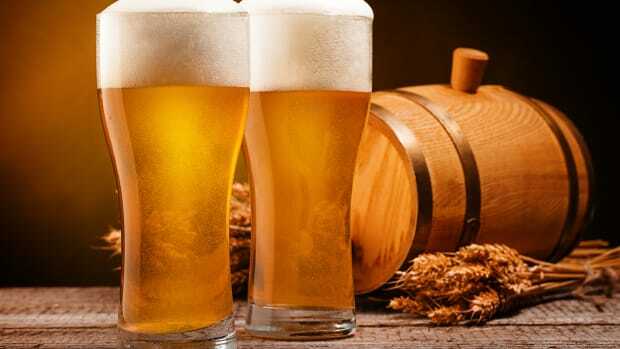 Its sugary-sweet contents were the property of United States Industrial Alcohol, which took regular shipments of molasses from the Caribbean and used them to produce alcohol for liquor and munitions manufacturing. The company had built the tank in 1915, when World War I had increased demand for industrial alcohol, but the construction process had been rushed and haphazard. 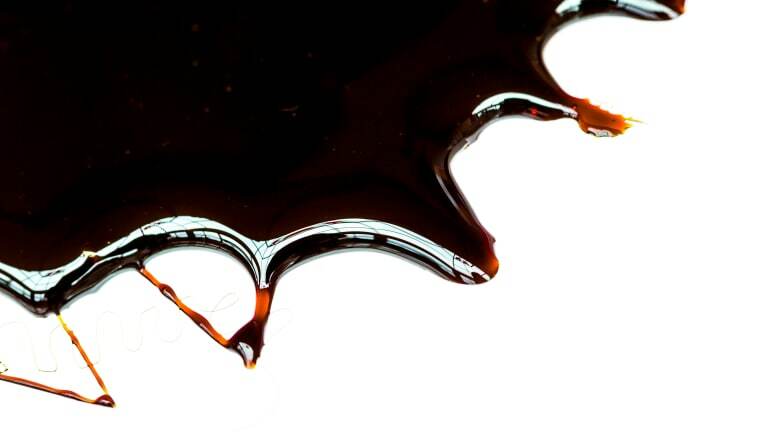 The container started to groan and peel, and it often leaked molasses onto the street. At least one USIA employee warned his bosses that it was structurally unsound, yet outside of re-caulking it, the company took little action. By 1919, the largely Italian and Irish immigrant families on Commercial Street had grown accustomed to hearing rumbles and metallic creaks emanating from the tank. Temperatures on the afternoon of January 15, 1919, were over 40 degrees—unusually mild for a Boston winter—and Commercial Street hummed with the sound of laborers, clopping horses and a nearby elevated train platform. At the Engine 31 firehouse, a group of men were eating their lunch while playing a friendly game of cards. Near the molasses tank, eight-year-old Antonio di Stasio, his sister Maria and another boy named Pasquale Iantosca were gathering firewood for their families. At his family’s home overlooking the tank, barman Martin Clougherty was still dozing in his bed, having put in a late-night shift at his saloon, the Pen and Pencil Club. 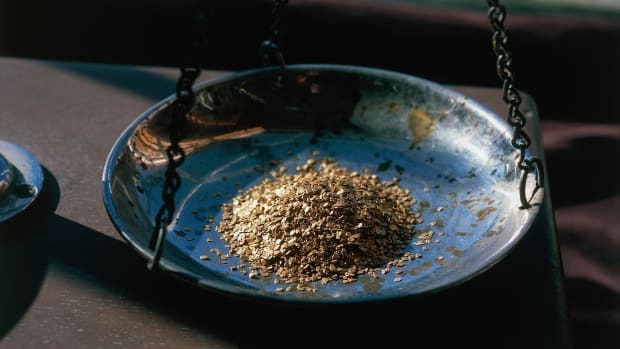 At around 12:40 p.m., the mid-afternoon calm was broken by the sound of a metallic roar. Before residents had time to register what was happening, the recently refilled molasses tank ripped wide open and unleashed 2.3 million gallons of dark-brown sludge. “A rumble, a hiss—some say a boom and a swish—and the wave of molasses swept out,” the Boston Post later wrote. A fifteen-foot wall of syrup cascaded over Commercial Street at 35 miles per hour, obliterating all the people, horses, buildings and electrical poles in its path. Even the solid steel supports of the elevated train platform were snapped. Antonio di Stasio, Maria di Stasio and Pasquale Iantosca were all instantly swallowed by the torrent. Maria was suffocated to death by the molasses, and Pasquale was killed after being struck by a railroad car. Antonio lived, but suffered a severe head injury from being flung into a light post. Front page of the January 16, 1919, “Boston Post” covering the disaster. The Boston Globe would later write that the force of the molasses wave caused buildings to “cringe up as though they were made of pasteboard.” The Engine 31 firehouse was knocked clean off its foundation, causing its second story to collapse into its first. The nearby Clougherty house, meanwhile, was swept away and dashed against the elevated train platform. Martin Clougherty, having just woken up, watched his home crumble around him before being thrown into the current. “I was in bed on the third floor of my house when I heard a deep rumble,” he remembered. “When I awoke, it was in several feet of molasses.” Clougherty nearly drowned in the gooey whirlpool before climbing atop his own bed frame, which he discovered floating nearby. The barman used the makeshift boat to rescue his sister, Teresa, but his mother and younger brother were among those killed in the disaster. Police and firefighters arrived at the disaster scene within minutes, as did over a hundred sailors from the Navy ship USS Nantucket. The first responders struggled to wade through the quicksand-like molasses, which had begun to harden in the winter chill, but they soon began plucking survivors from the wreckage. The most dramatic rescue took place at the Engine 31 firehouse, where several of the men from the lunchtime card game were trapped in a molasses-flooded pocket of space on the collapsed first floor. Workers freed the survivors after several hours of cutting away floorboards and debris, but not before one of the firefighters lost his strength and drowned. 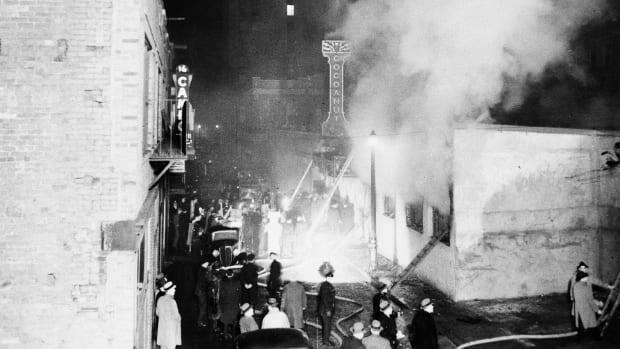 Over the next several days, rescue workers continued to sift through the ruins, shooting molasses-trapped horses and recovering bodies. The human toll would eventually climb to 21 dead and another 150 injured, but many of the deceased remained missing for several days. 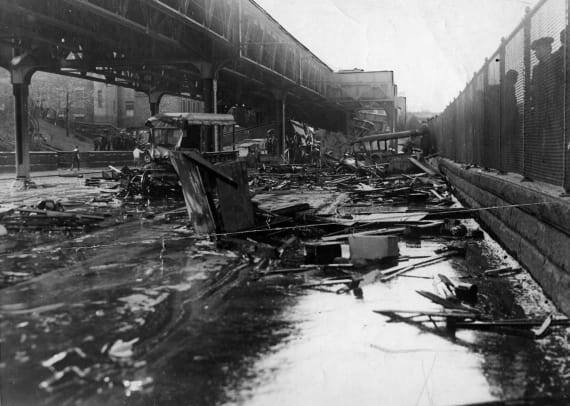 The remains of one victim, a wagon driver named Cesare Nicolo, were not fished out of nearby Boston Harbor until almost four months after the flood. The lawsuits against USIA were eventually combined into a mammoth legal proceeding that dragged on for five years. Over 1,500 exhibits were introduced and some 1,000 witnesses testified including explosives experts, flood survivors and USIA employees. The closing arguments alone took 11 weeks, but in April 1925, state auditor Hugh W. Ogden finally ruled that United States Industrial Alcohol was to blame for the disaster. Rather than a bomb, he concluded that the company’s poor planning and lack of oversight had led to the tank’s structural failure. USIA would later pay the flood victims and their family members $628,000 in damages—the equivalent of around $8 million today. By the time the settlement was finally paid, the area around Commercial Street had long recovered from the multi-million-gallon molasses tsunami. 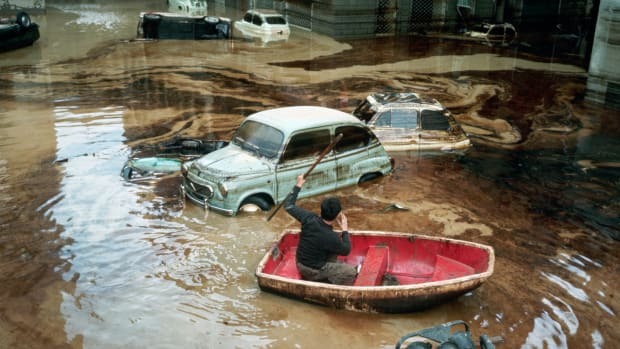 Over 300 workers had converged on the scene in the days after the disaster to remove wreckage and debris, and firefighters later used brooms, saws and saltwater pumps to strip away the last of the syrupy residue. Even then, the sweet scent of molasses still hung over the North End for several weeks, and the waters of Boston Harbor remained stained brown until the summer.